For part 2 click here! Hi all! This is already part 3 for this series. I hope I didn’t confuse you too much with all those calculations 🙂 I am so excited for this part, because this is where the real magic happens! In this part I will give you more options for construction so you can get REALLY started on your design. Finally right? When I was working on my picking flowers sweater design, I thought I had all the math worked out. Well, it turned out the party wasn’t quite over yet! You will see that you will need even more little calculations for the number of stitches and rows. If you keep track of them all (you’ll need them later), it will be fine 🙂 Take your time to read this weeks post. It’s a lot of information at once and the text wall it creates can look rather daunting. That’s mostly due to all the calculation examples I have given, to make things extra clear for you 🙂 (please note that the given stitch and row numbers are only to illustrate my examples) Let’s get started on our construction! Like I said before, a top-down sweater is my preferred construction method, but within this method there are several options to choose from. I only give a few options here, since there are so many! 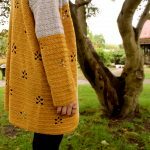 Seamless vs seamed: I really like the seamless method, because you do not have to seam anything afterwards and I feel it looks nice with crochet sweaters. 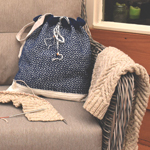 However, it can be harder to figure out the construction, so as a start, a seamed sweater might be your preferred method. 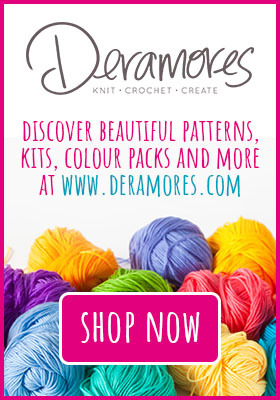 step 2: Take your front (or back) and start to crochet until you’re at the end of the row. Now take the other part and continue to crochet, attaching the front and back in the process. 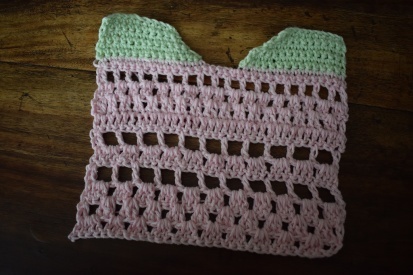 After this first attachment row, you keep crocheting in the round, so you don’t have to seam the sides of the body. step 3: For the sleeves you’ll pick up stitches along the armhole, and continue to work in the round, so the sleeves too don’t have to be seamed afterwards. 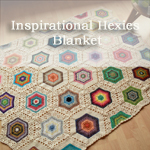 Here is a link to a free pattern with a different seamless construction. 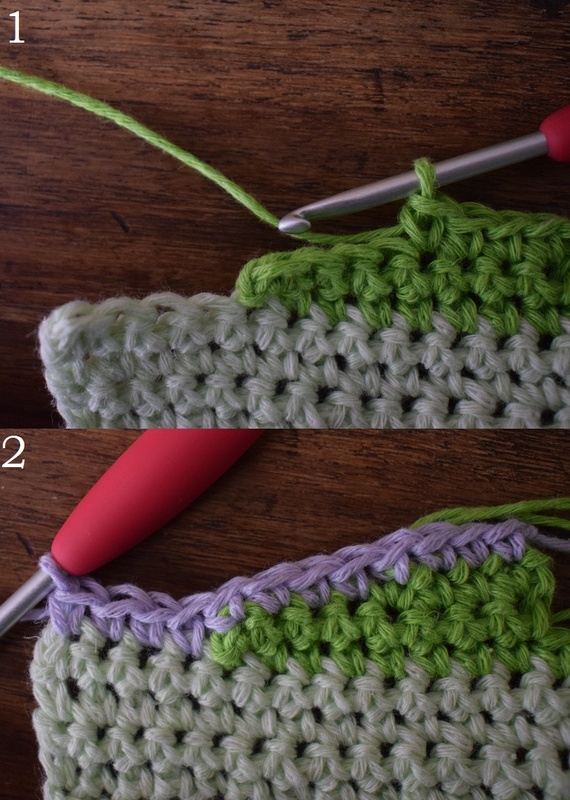 2 stitches in 1 stitch (pic 1) or crocheting 2 stitches together (pic 2): A simple way of increasing/decreasing without too much hassle. chain spaces between stitches (pic 1) or skipping stitches (pic 2): Another simple way, but more visible is making 1 or more chains between stitches. On the next row you make a stitch in this space, creating a little opening. 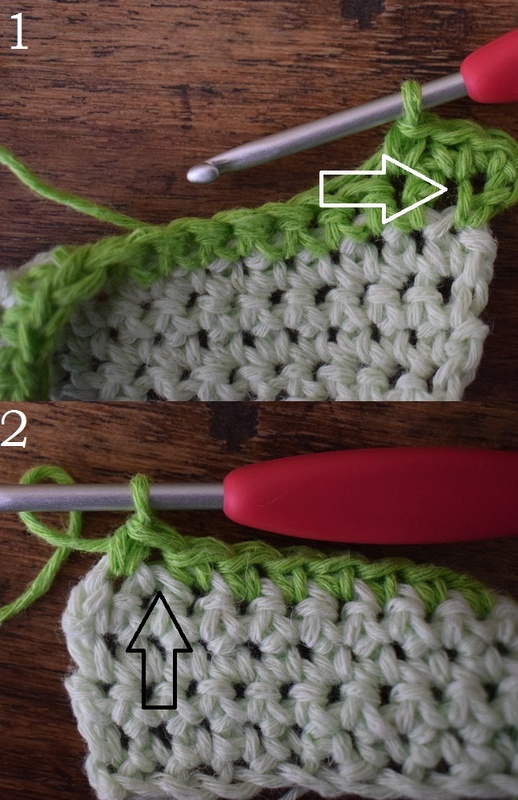 To make a decrease you can skip 1 or more stitches, this creates a small opening too. making chains at the end of the row: If you want to increase a lot of stitches at once, you can work a few chains at the end of your row (pic 1). When you work the next row, you will make stitches into these chains and you will have increased a lot of stitches at once (pic 2). 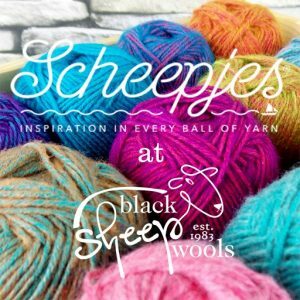 Short row technique: To decrease a lot of stitches at once, without your work going wobbly, you can simply stop a few stitches before the end of the row. This is also called the short-row technique. 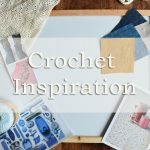 This last technique will only work with single crochets (US), because all other stitches are simply too high, which will cause your work to look weird. This technique is also useful to give nice angular shapes to your work. 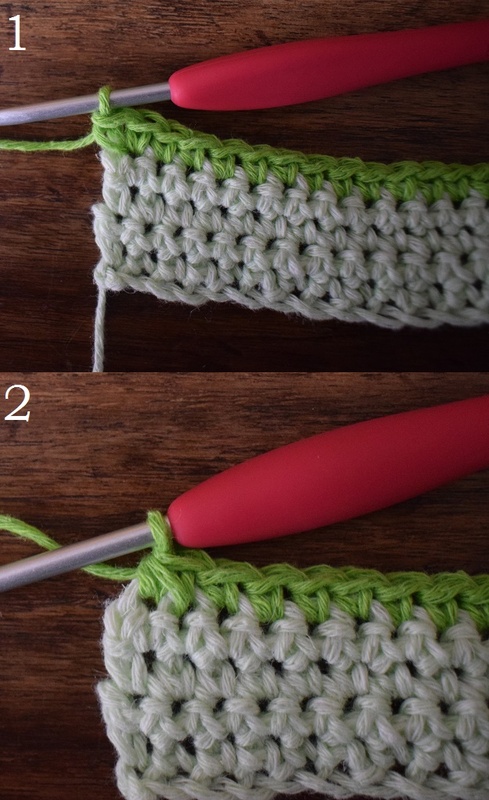 When you want to use this technique as a way of shaping instead of decreasing, go back over all previous short rows to give a nice finishing touch. 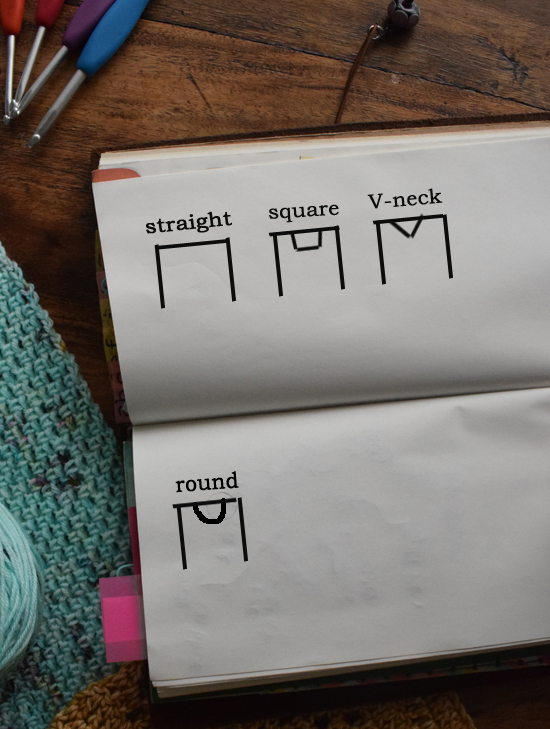 Square neckline: Work the shoulders in straight rows until you reach the neckline depth. Insert the number of chains in between for the number you need to get to your sweater width. V-neck: start the shoulders with increases at the neckline side (every or every other row) until you reach the neckline depth, attach the two shoulders together to get a point. 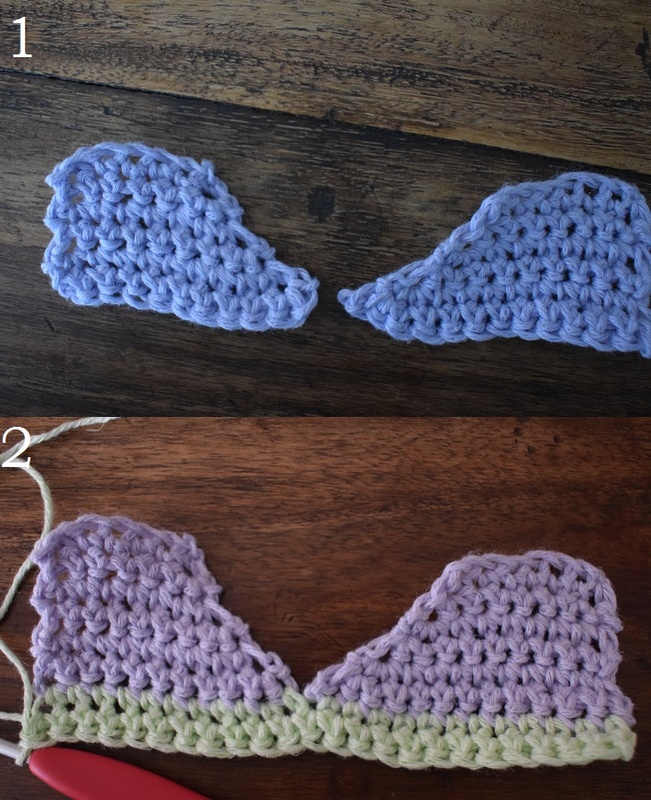 Where and how many increases you make depends on how angled and how deep you want to make the neckline. Round neckline: Start the shoulders by working straight on the neckline side for the first few rows. After that make increases at the neckline side until you reach the neckline depth. After that chain the number you still need to get to your neckline width. 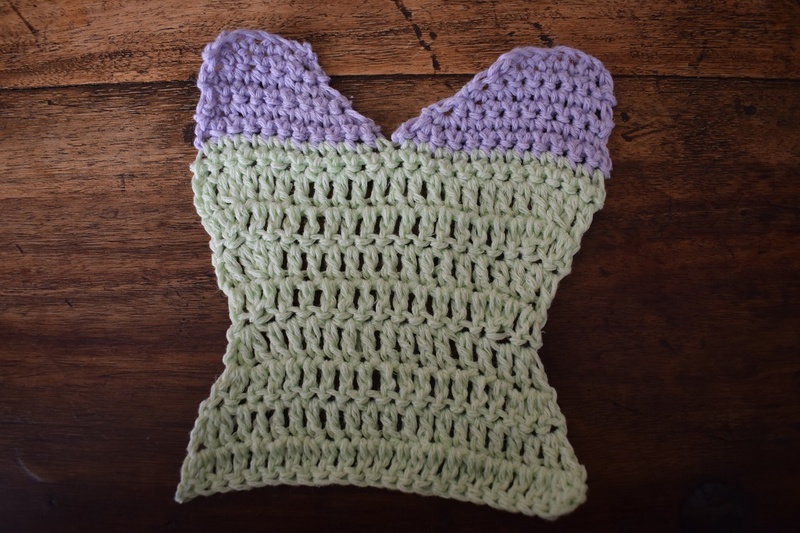 A square neckline is very easy to make, because you don’t have to do any special shaping. I begin with 1 shoulder of 20 stitches wide (without extra width). I crochet my shoulder in straight rows until I have reached a neckline depth of 10 rows. I repeat this process for the other shoulder. Now I have (20×2=) 40 stitches worked up into the shoulders. I would like a neckline width of 20 stitches, so I connect the two shoulders by working 20 chains in between (pic 1). After the next row, I have (40+20=) 60 stitches in total (pic 2). I start with 1 shoulder of 20 stitches wide (without any extra width again). 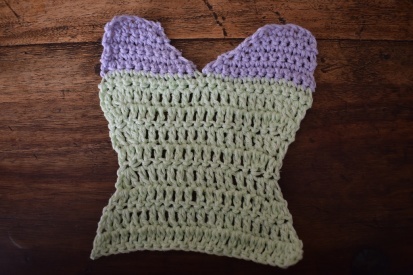 My shoulders will be crocheted diagonally on the neckline side. 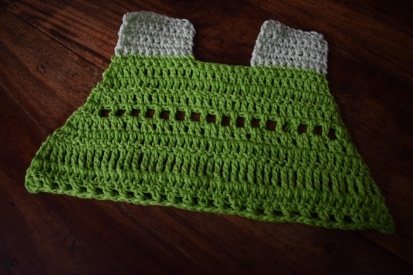 I want to make my neckline 8 rows deep. I make 2 increases every row for those 8 rows (pic 1). I have increased (8×2 increases=) 16 stitches after the first shoulder, so 1 shoulder is now (20+16=) 36 stitches wide. I do the same for the other shoulder (mirrored), so now I have worked (36×2=) 72 stitches in total. I connect the two shoulders on the next row so the neckline will come to a point. I don’t make chains between the shoulders, so the total stays 72 stitches (pic 2). I start with 1 shoulder of 20 stitches wide (again without extra width). My shoulder will be shaped at the neckline side. I want my neckline to be 10 rows deep. 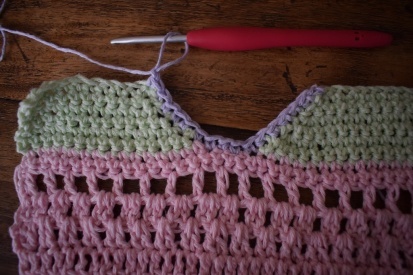 The first 2 rows I work straight on the neckline side and the next 8 rows I increase 2 stitches every row (pic 1). After the first shoulder, I have increased (8x 2 increases=) 16 stitches, so one shoulder now has (20+16=) 36 stitches. I do the same for the other shoulder (mirrored), so I have (36×2=) 72 stitches already worked into the shoulders. I want a neckline that is 5 stitches wide at the bottom, so I attach my shoulders by working 5 chains in between (pic 2). After the next row I will have (72+5=) 77 stitches in total (pic 3). I will need 85 stitches for the bust to fit so we’re still not there yet, but at least our front neckline is finished! You’ll notice that the neckline is not yet completely round. It needs a neckband, which I will discuss further down this post. After we’ve made the neckline, you might not have the proper amount of stitches you need for your bust to fit in. There are several ways to get these extra stitches. Beginning with extra width in the shoulders: A simple way to get all the stitches you need beforehand is to begin with wider shoulders. After this you can make all increases for the last bit of width that you need in the neckline (depending on the chosen shape). In my calculation example for the round neckline, I began with a shoulder of 20 stitches without extra width. We needed (85 needed – 77 we already have=) 8 extra stitches. These stitches can be put into the shoulders. Every shoulder gets an extra (8 stitches/2 shoulders=) 4 stitches. So we will begin with shoulders of (20+4=)24 stitches. For this calculation to work, we need to calculate beforehand how many stitches we will need for the neckline width. Increases on the side of the armholes: To get to the required number, you can also put the extra stitches at the armhole side. 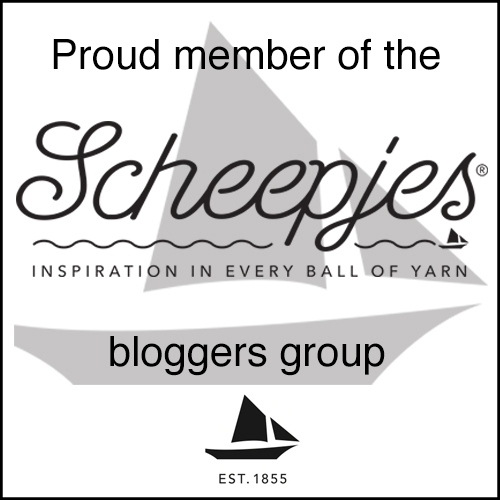 In my example above, we still needed (85 needed stitches – 77 we already have=) 8 stitches. We need to increase (8 stitches /2 armholes=) 4 stitches per armhole. I already used 10 rows for the neckline, but I still need 10 rows to get to the bottom of the armhole. We need to spread out the last increases over these 10 rows. 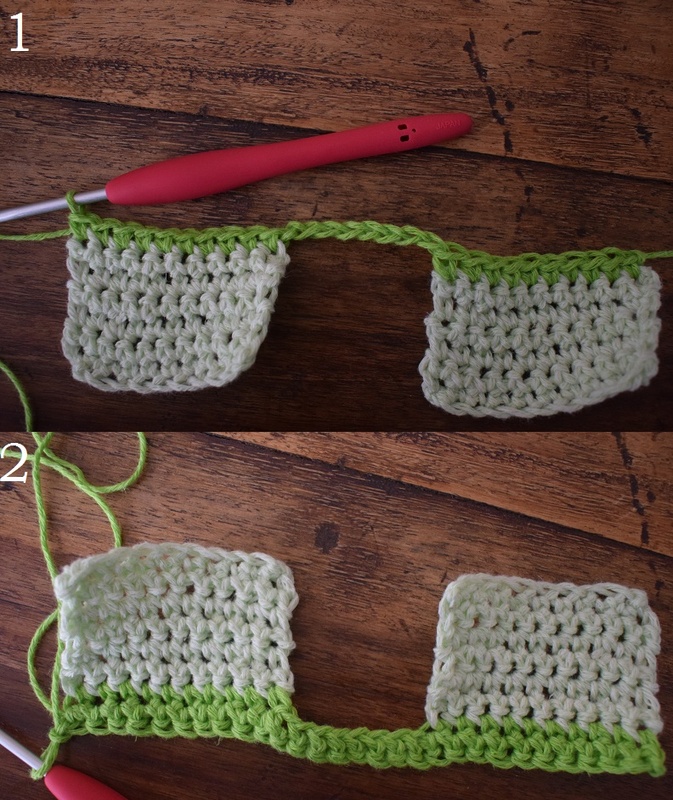 To work these evenly along those rows you can work the first 2 rows straight, which leaves (10-2=) 8 rows to make the increases. We can make 1 increase every (8/4=) 2nd row. We will not make these increases at the end of the row at the armhole side, but rather a few stitches in, so the armhole will stay straight to put our sleeve on. 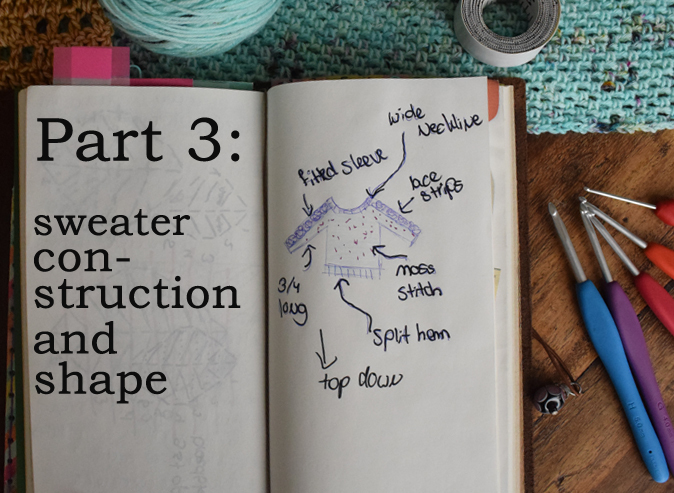 You can repeat these steps for the back of the sweater (with alternate shaping of your choosing for the back neckline). If you want to work a bottom-up model, you can reverse these steps and make decreases instead of increases to get the same result. Now, wait a minute… We still need our neckband to pull our stitches nicely together, and to make sure the neckline will keep it’s shape when worn! 2. They make sure the neckline will keep its shape when worn! No neckband: if you choose to not to make a neckband, it is still advised that you work along the whole edge of it, to make sure it will not sag and to keep its shape. 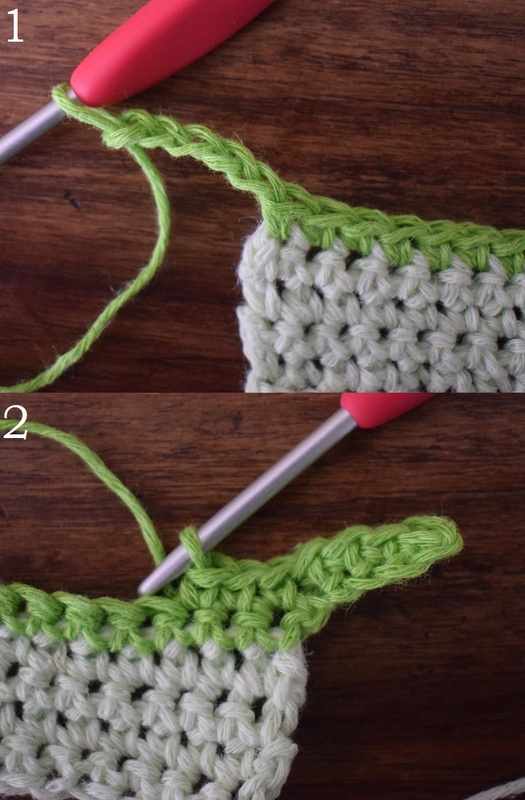 To do this, you can simple slip stitch or single crochet along the edge. When you do this, make sure that the neckline will not be too tight, but not too loose either. Try how many stitches will work for your neckline. 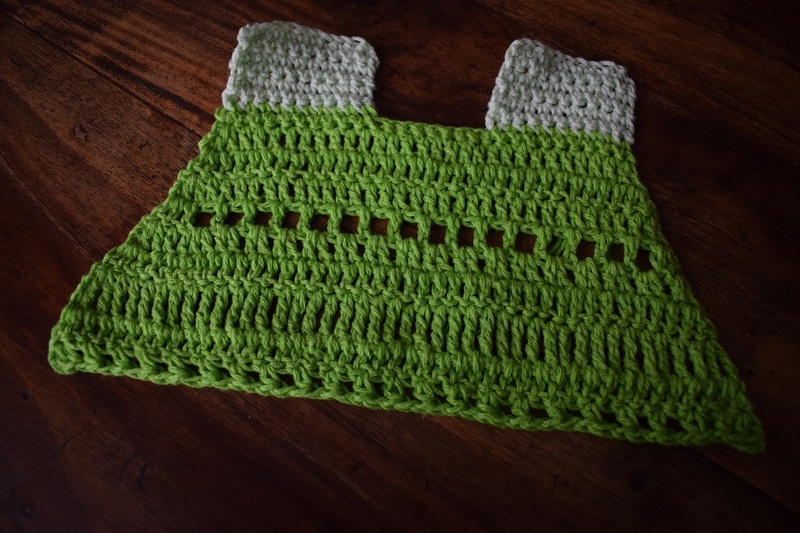 Ribbed neckband: What I like best is a ribbed neckband to create that faux knitting effect. You can do this by alternating normal dc’s and front post dc’s (US terms). Before you begin with the dc’s, make a first round of sc’s to pull the neckline together. Just like with the ‘no neckband-option’, you want to make sure that the neckline won’t be too tight, but also not too loose. Try how many stitches you need to get that balance right. 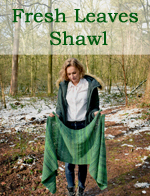 With this technique you are going to need an even number of stitches, so the pattern runs seamlessly at the start and endpoint. Tip for working out the number of stitches to be picked up at the neckline: The stitches that you pick up NEVER has a 1 on 1 aspect ratio. This means that you would make 1 stitch in every 1 stitch or row. This is simply too much, because your neckline is not straight but curved. The stitches have less room because of this. Last tip for nice cuffs and hems: Use a smaller hook! When you knit a rib, it is always done with smaller needles, because the ribbing is a bit thicker than the rest of the sweater. To compensate this, use a smaller hook to make your ribbing. This way it looks extra nice! Of course there are a lot of other options to choose from, but these two are the most used. Find a hdc option here and a front post dc option here. Of course you can also use these finishing edges for the hem and cuffs. Oversized boxy: You could do a boxy look, meaning that you have a dropped shoulder where the sweater body ends. This means that the sleeves will be shortened by the extra width of the body. You don’t have to increase, because all the extra width is already there. Fitted: You could also do a fitted model where you decrease towards the waist and increase after the waist towards the hips. These are only a few of all the shapes that are possible. 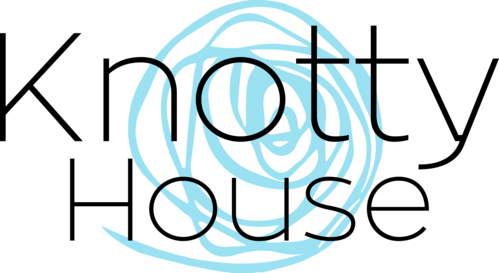 Here is a good link to get inspired by different shapes! My half bust width is (120 stitches /2=) 60 stitches wide. I want to add 40 stitches of positive ease so that would be a total sweater width of (60+40=) 100 stitches. My neckline is 30 stitches wide, so that will leave (100-30=) 70 stitches for both shoulders and (70/2=) 35 stitches per shoulder. I begin each shoulder with 35 stitches and make my neckline in between. After I’ve finished the neckline, I already have the total number of stitches I need, so I just work straight until I reach the sweater length without making any extra increases. My half bust width is 60 stitches wide. I want to end the sweater with 100 stitches, so I need to increase (100-60=) 40 stitches in the body from the bottom of the armhole. I want to increase on both sides of the sweater, so my sweater will have equally diagonal sides, so that will come down to 2 increases per 1 row or (40/2=) 20 increase rows. My sweater body will be 80 rows long from the bottom of the armhole, so I need to increase every (80/ 20 increase rows=) 4th row. My half bust width is 60 stitches wide. My half waist circumference is 50 stitches wide, so I need to decrease (60-50=) 10 stitches towards the waist. I want to decrease 2 in 1 row (1 per side), so that will be (10/2=) 5 decrease rows, which can be spread out evenly just like the A-line example, with the difference that you divide the number of rows by 2. So if your total length is 80 rows, you will spread the decreases evenly over the first (80/2=) 40 rows. The increases after the waist will be spread over the last 40 rows. 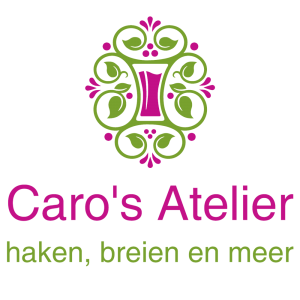 My waist width is 50 stitches wide after the decreases and I want the sweater to end with 60 stitches again, so I need to increase (60-50=) 10 stitches towards the hips, away from the waist. Like above, I want to decrease 2 in 1 row, so that will be 5 decrease rows, which can be spread out evenly again. Like with all these examples, you can reverse these instructions to make a bottom-up model. 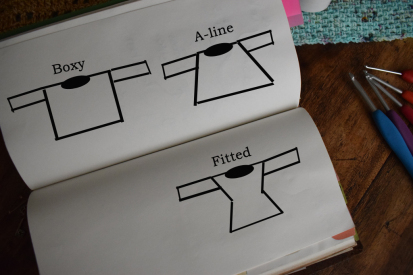 Flat: You could make the sleeves flat from the top down, matching the number of stitches of your armhole and decrease gradually. You could also make the sleeves bottom-up and gradually increase, but you might want more stretch in your cuff and the beginning chain will be tighter than the rest of your work. When you want to calculate the number of decreases (or increases, based on your sleeve shape) for the sleeve and when to make them, take the number of stitches you begin with and the number of stitches you want to end with. Then subtract the two and divide it by the number of rows you need for the length of the sleeve. Example: My sleeve begins with 50 stitches, but I want it to end at 40 stitches. I have 50 rows to get to those 40 stitches. So I know I need to decrease (50-40=) 10 stitches and I have 50 rows to do that. I now know I need to decrease every (50/10=) 5th row. It can (and will) happen dat you will not get a rounded number, like every 3,8th row. What you will then do, is round the number off to the lowest number. So you will make a decrease every 3d row. 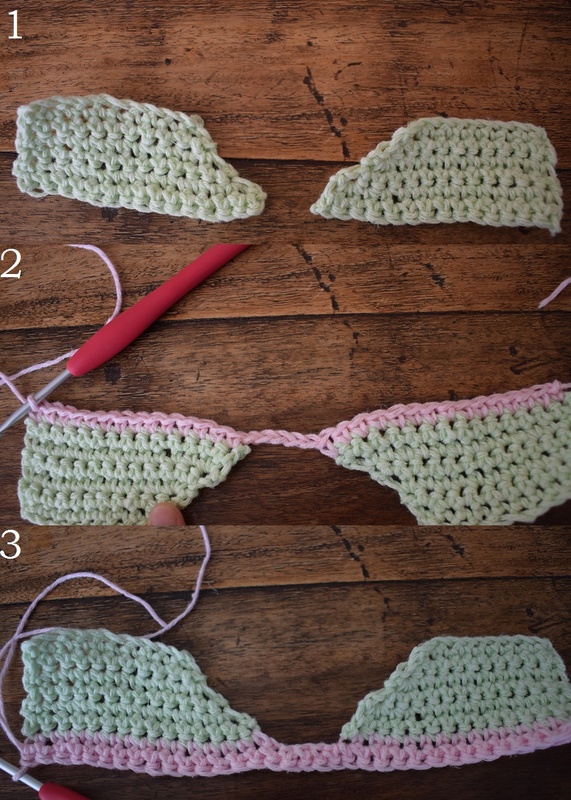 After you’ve worked the decreases, you can calculate how many rows and decreases there are left for you to get the right number of stitches. If you want to work a sleeve bottom-up, you will use the same calculations, but instead of decreases, you will make increases.